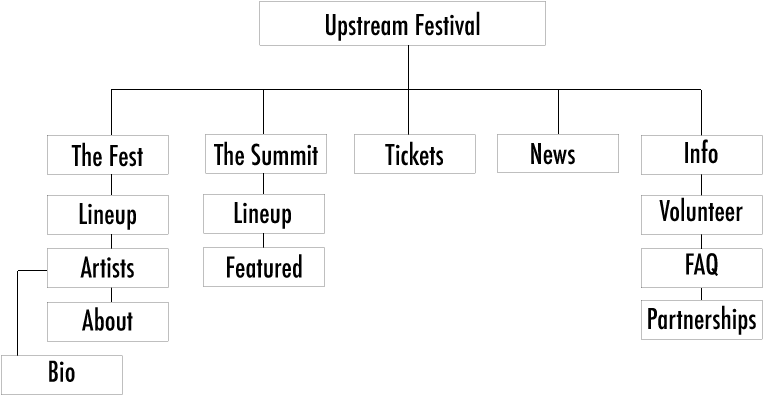 Working independently, I completed research, planning, and design on a website prototype for Vulcan's Upstream Festival in Seattle, WA. This was a website for a new music festival that was set in upcoming spring. Using Vulcan's branding and style guide, as well as their user personas, I was able to build navigation structure, mood and style boards and designed a prototype website to enable people to plan, purchase tickets and explore featured artists. The project duration was 8 weeks. The 3-day music festival and summit gives local artists the resources they need to navigate and thrive in the music economy. Managed by Vulcan, by way of Paul Allen, the festival houses 200 artists in 2 days over more than 25 venues around the Pioneer Square neighborhood in Seattle, WA. Because the festival was unexplored territory for our client, I had lots of creative freedom/room to explore. They didn't have much content when we were briefed by Director of Branding, Erik Johnson. This was new to us almost as new to them. Vulcan did establish brand guidelines, but in terms of layout, everything was free game. A simple landing page was set for the festival at the time, and Vulcan was open to new ideas and possible solutions to the website. 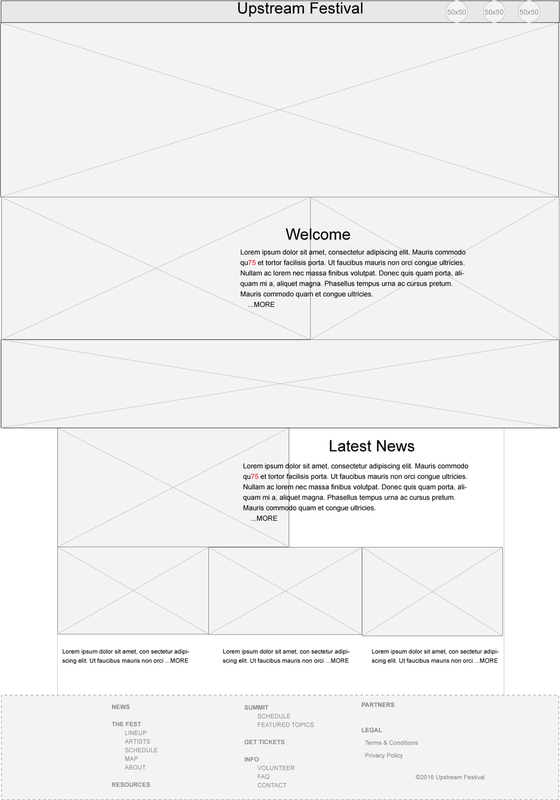 For a user to quickly absorb this information, I designed the homepage accordingly to showcase this information.